Cane Bay Partners VI, LLLP Co-Founder David A. Johnson on Friday, April 1, participated in the University of West Georgia’s SAS Analytics Summit, where students present their year-end projects related to data analytics. 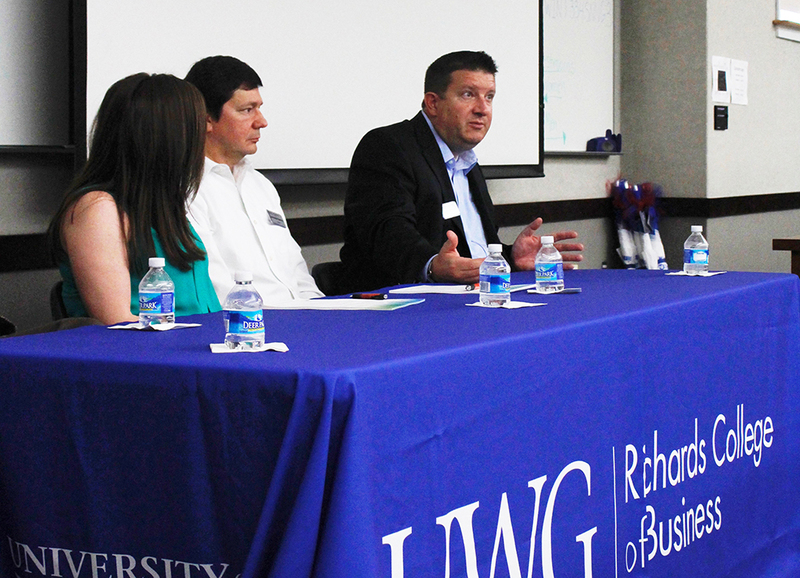 Johnson, an alumnus of the school, participates in the summit every year to meet and discuss the SAS certification program at UWG’s Richards College of Business. In 2011, Johnson provided a significant donation to establish the David A. Johnson Applied Econometrics and Analytics Fund to support a dedicated professorship within the program. SAS is software that offers applications in data entry, forecasting, financial modeling and time series analysis. It is used by business, financial and economic institutions as well as academia. During this year’s SAS Analytics Summit, Johnson talked about credit card debt, credit scores and how their data is evaluated. During the SAS summit, students present the culmination of their research projects that solve real life problems using the SAS software. The program has benefited a number of people by allowing them to enter into the competitive field of data analytics. Graduate Brittany Benefield, for example, is now a cost and energy analysis intern at the Southern Company. She enrolled in the program because of her strong interest in statistics and thought the certificate would set her apart. For more information on the SAS certification program, visit http://www.westga.edu/business. In addition to Johnson’s support for his alma mater West Georgia University, Cane Bay Partners VI, LLLP, and its co-founders Johnson and Kirk Chewning, also partner with the local University of the Virgin Islands to offer the Enhanced Business Computational Science and Modeling program on St. Croix. In addition to supporting the program, Cane Bay Partners has hired several graduates of the program. “Demand around the world is high for these types of skills, right here on St. Croix we have a demand, so it is critical as a good corporate citizen that we support the programs through donations as well as providing these graduates with opportunities to apply their skills,” Chewning said. 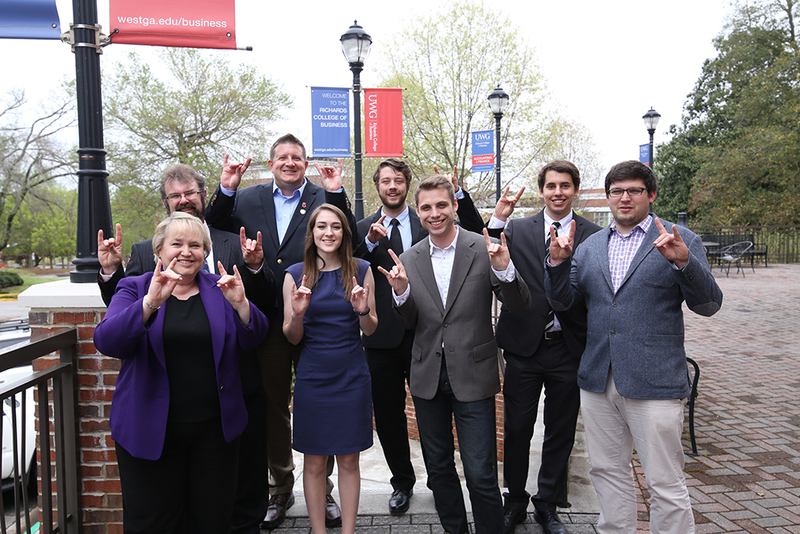 Cane Bay Partners VI Co-Founder David Johnson, back row second from left, poses with University of West Georgia students and officials during the SAS Analytics Summit Friday.Cane Bay Partners VI Co-Founder David Johnson, back row second from left, poses with University of West Georgia students and officials during the SAS Analytics Summit Friday. Cane Bay Partners VI Co-Founder David Johnson, sitting right, talks during a panel discussion at the University of West Georgia’s SAS Analytics Summit on Friday.Cane Bay Partners VI Co-Founder David Johnson, sitting right, talks during a panel discussion at the University of West Georgia’s SAS Analytics Summit on Friday.